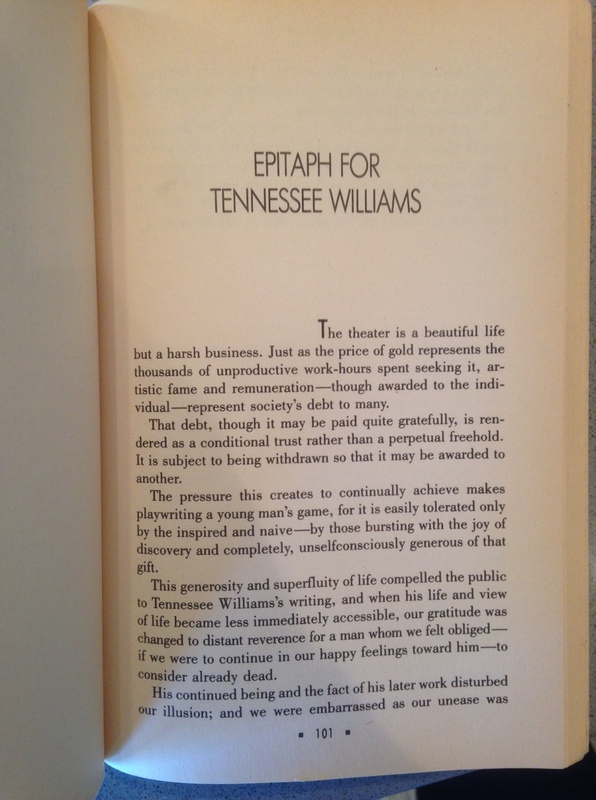 Strewn around the apartment of a friend this weekend were a few biographies of Tennessee Williams. 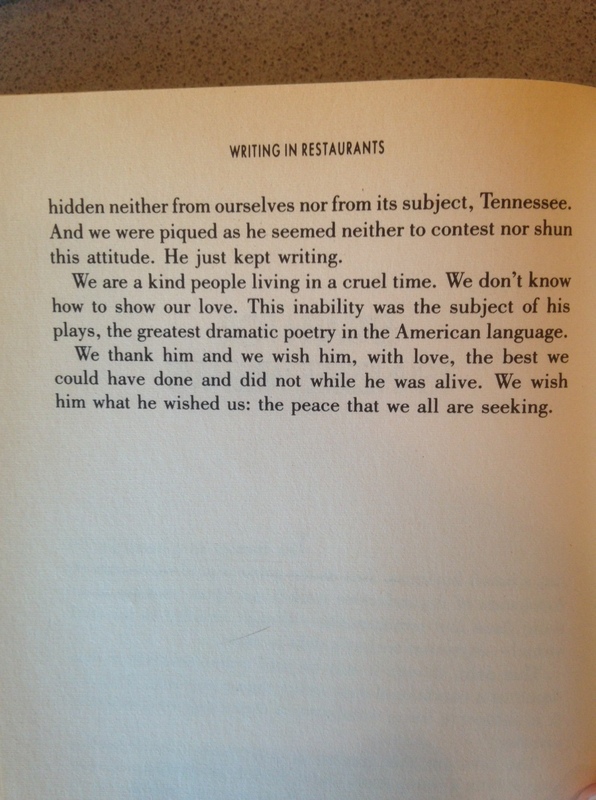 I don’t know much about Tennessee Williams. 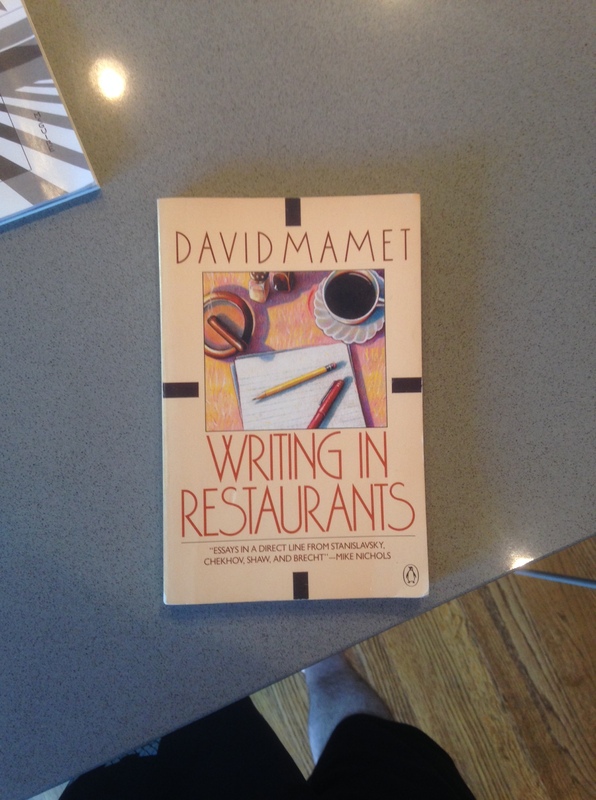 The most I ever thought about him was when I was briefly in Key West, where there’s some stuff named after him. He jockeys with Hemingway for local literary mascot top honors. As he had feared, in the years following Merlo’s death Williams was plunged into a period of nearly catatonic depression and increasing drug use resulting in several hospitalizations and commitments to mental health facilities. He submitted to injections by Dr. Max Jacobson – known popularly as Dr. Feelgood – who used increasing amounts of amphetamines to overcome his depression and combined these with prescriptions for the sedative Seconal to relieve his insomnia. 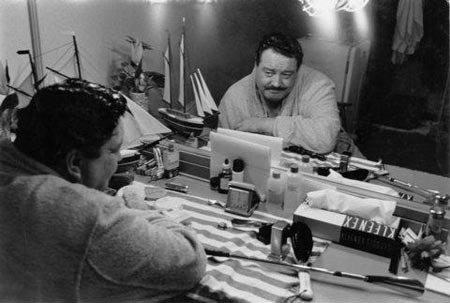 Williams appeared several times in interviews in a nearly incoherent state, and his reputation both as a playwright and as a public personality suffered. He was never truly able to recoup his earlier success, or to entirely overcome his dependence on prescription drugs. John F. Kennedy first visited Jacobson in September 1960, shortly before the 1960 presidential election debates. Jacobson was part of the Presidential entourage at the Vienna summit in 1961, where he administered injections to combat severe back pain. Some of the potential side effects included hyperactivity, impaired judgment, nervousness, and wild mood swings. Kennedy, however, was untroubled by FDA reports on the contents of Jacobson’s injections and proclaimed: “I don’t care if it’s horse piss. It works.” Jacobson was used for the most severe bouts of back pain. By May 1962, Jacobson had visited the White House to treat the President thirty-four times. 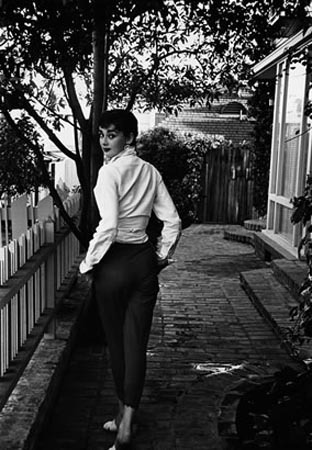 In 1953, probably because of his fashion experience, Shaw was assigned to photograph the young actress Audrey Hepburn during the filming of Paramount’s Sabrina. 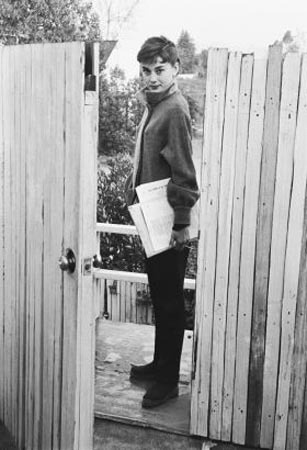 Evasive at first, Hepburn became comfortable with Shaw’s presence over a two-week period and allowed him to record many of her casual and private moments. 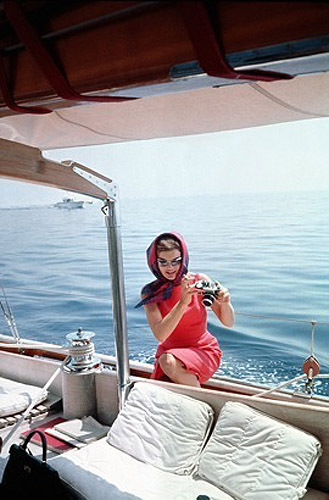 In 1959, Life chose Shaw to photograph Jacqueline Kennedy while her husband, Senator John F. Kennedy, was running for President. This assignment was the beginning of an enduring working relationship and personal friendship with the Kennedys that would eventually lead to Shaw’s acceptance as the Kennedys’ de facto “family photographer”. He visited them at theWhite House and at Hyannisport; during this time he produced his most famous photographs, portraying the couple and their children in both official and casual settings. 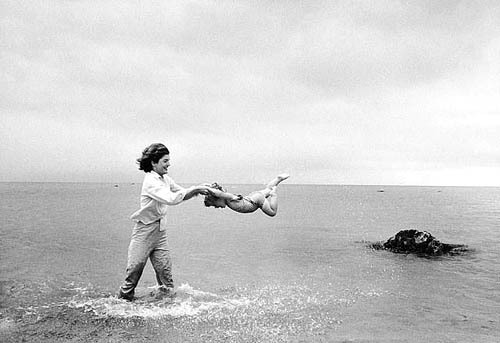 In 1964, Shaw published a collection of these images in his book The John F. Kennedys: A Family Album, which was very successful. A bunch of even better ones can be found here, at the tragically disorganized website of the Monroe Gallery, they’re stamped “No Reproduction Without Permission” so whatever. Don’t miss this one. Jackie O eyebrow game on fleek.